Credit card scammers are constantly coming up with new ways to scam cardholders - or putting a new spin on an old credit card scam. Being on the lookout for scams protects your credit card information and helps you prevent fraud and unauthorized charges on your credit card account. Here are a few credit card scams to watch out for. The credit card industry is moving to EMV chip enabled credit cards to reduce credit card fraud. The move has taken place over several months, with credit card issuers sending out new cards over a period of time rather than all at once. Scammers, posed as credit card issuers, email consumers warning that the cardholder must update their personal information before they can receive their new chip card. Replying to the email with personal information, even clicking a link and entering personal information can give the scammer information that can be used to commit identity theft. Always remember that your credit card issuer will not ask you to update information over email. 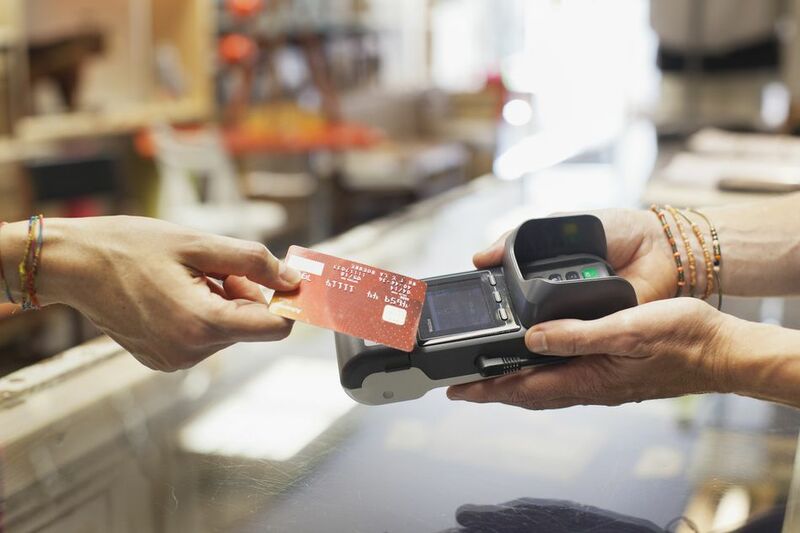 Credit card issuers send new chip credit cards automatically without any action on your part. Contact your card issuer's customer service using the number on the back of your current credit card for questions about receiving your new EMV card. Don’t click on links in emails, even if they look like they come from your credit card issuer. Visit your credit card issuer online only by going directly to the card issuer’s website. Credit card interest rate reduction scams take advantage of frustrated credit card users who want to cut their credit card rates and pay off their balances faster. You receive a pre-recorded call from someone who says you qualify for a program that will help you lower your interest rate and pay off your credit card balance sooner. All you have to do is pay a fee, enroll in a program, and the company will work to lower your credit card interest rate. The call may sound like it comes from your credit card issuer and the company may even have your credit card account information. The scammer charges your credit card for the services, but doesn’t help you lower your interest rate as promised. You might be charged even if you decline the services. Add your number to the National Do Not Call Registry to lower the likelihood that you’ll receive one of these calls. You can add your number by visiting DoNotCall.gov or calling 1-888-382-1222. If you receive an automated call from a company asking to lower your interest rate, hang up the phone without speaking to anyone for any reason. Talking to a human may lead to more calls. Don’t give out or confirm your personal or financial information on any phone call that you didn’t initiate. Scammers have often obtained some credit card information and need to confirm the accuracy or get just one more piece of information from you, like a PIN or security code. If you qualify for a lower interest rate, you can get one for free by simply asking your credit card issuer for a lower rate. Having your credit card issuer warn you about fraud on your account can protect you from future fraudulent charges. Ironically, scammers can use this type of phone call to commit real fraud. You receive a call from someone who says they’re from your credit card issuer’s fraud department. They say there has been suspicious activity on your account and need some information from you to verify whether your account has been compromised. Scammers may already have some information – your name, address, or account number – and they use this to subtly convince you that they’re your credit card issuer. They’re calling to get additional information they can use for fraud – the security code on the back of your credit card, for example. Your credit card issuer may really call you if fraud is suspected on your account. However, rather than give out your personal information, you should hang up and call the number on the back of your credit card to be sure you’re really speaking with your credit card issuer. Don't give out your credit card information on any call you didn't initiate. Continuously monitor your account activity online or via a smartphone app so you’re aware of your account activity. Report unauthorized charges to your credit card issuer right away. You can be issued a new credit card if your account has been compromised. A hotel is probably one of the last places you'd expect to be defrauded, but you have to be on guard even when you're on vacation. You’re relaxing on vacation or settling in for a business trip and in the middle of the night, you receive a call to your hotel phone from someone claiming to be from the front desk. The caller says there's been an issue with the hotel's computer systems and they need to you to give your credit card information again. If you give up your credit card details, the scammer can use the information to make fraudulent charges on your account. Don’t give out your credit card information over the phone, especially considering you didn't initiate the call. There’s no way to verify the authenticity of the call. Walk down to the front desk and ask in person whether this was a legitimate request for your credit card information. If you’re unable to walk down right away, give the front desk a call to see if there was really a system issue. In an effort to save data on your phone or to avoid paying for Wi-Fi when you’re in public, you may look for and connect to the first open Wi-Fi hotspot you find. But, this may not be a safe choice. Scammers set up a free Wi-Fi hotspot that doesn’t require a password. Once you’re connected, the scammer can access virtually any information you send over the network. If you log into your online bank or check your credit card balance, the scammer can get your username and password. If you place a mobile order, the scammer can get all your credit card and personal information. They can sometimes even access information in your browser history or decrypt information sent over through secure websites. Be wary of free Wi-Fi connections, especially in places that typically charge for Wi-Fi. Even if the place you’re visiting offers free Wi-Fi, confirm the name of the network with an employee before connecting. Be careful the information you send when you’re on any free Wi-Fi. Even when you’re connected to the right network, hackers can connect to the same network and intercept information you’re sending. We take for granted that our credit cards are safe when we swipe our credit cards or hand them to a cashier to fund transactions. However, there's a risk that credit card information is being stolen when it's swiped to pay for goods or services. With credit card skimming, the scammer captures your credit card on an otherwise legitimate transaction. Scammers may place a skimming device over a regular credit card processing terminal. Gas stations and ATMs have been a long time favorite for scammers looking to place skimming devices. More recently, scammers have started placing skimmers over the credit card readers in self-checkout lanes at major retailers. Sometimes cashiers and waitresses have been recruited to be part of a skimming ring. They swipe your credit card through a handheld skimming device when you're not looking. Once your credit card information has been "skimmed," scammers can use it to create fake credit cards and make fraudulent charges on your account. Inspect credit card readers before using them, especially at gas stations, ATMs, and self-checkout lanes. Avoid using any credit card reader that looks like it's been tampered with. Cover your hand when you're entering your PIN. Scammers often place cameras near skimming devices to capture your PIN. Monitor your credit and debit card accounts closely. If you spot any charges you didn't make, contact your credit card issuer right away.